Add bales to provide height adjustability. Our Hay Ho! is a striking fence available in a range of colour combinations. This fence has the advantage of being designed with a sunken top to hold straw bales. The height of the fence is excluding straw bales and these add approx. 30cm to the height. 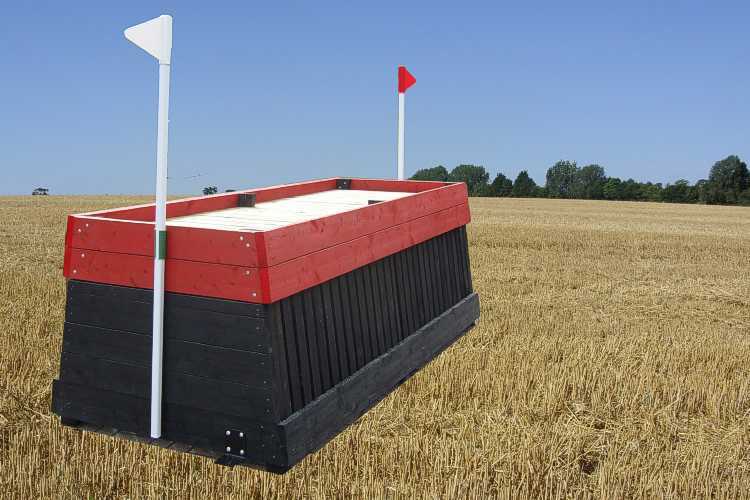 We advise that straw bales (not included) are secured before jumping. Spread - Two Bales or One? Heights 60cm / 70cm / 75cm all hold one bale and so are 50cm spread at the top. Heights 80cm / 90cm / 100cm all hold two bales and so are 100cm spread at the top. A fully height adjustable fence.